Buy 2 get 1 free on all our badges! TOP QUALITY PIN BADGE. BUTTERFLY CLASP. 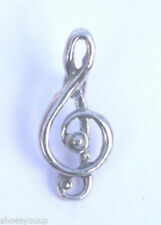 SIZE: 21MM X 11MM. 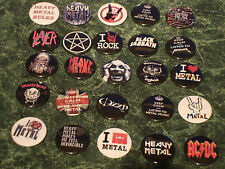 20p P P for each extra badge/cufflinks/tiepin/keyring . 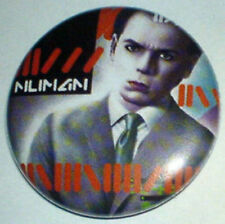 NOVELTY 1" BUTTON BADGE. TAKE THAT LOGO. YOU GET ALL THE BADGES IN PICTURE. 25 BUTTON BADGE. Perfect for any Prince fan! Back: Rubber Clasp. Aladdin Sane Lightning Pin Badge. Perfect for any David Bowie fan. 1, LIGHT BLUE 2,DARK GREEN 3,LIGHT BLUE/WHITE 4,BULLSEYE RED/WHITE/BLUE 5,BULLSEYE RED/WHITE/GREEN 6,LIGHT GREEN/WHITE 7,DARK BLUE/WHITE 8,CREAM 9,DARK GREEN/WHITE 10,BLACK/WHITE 11,WHITE 12,RED/WHITE 13,DARK BLUE 14,RED 15,LIGHT GREEN 16,PINK 17,UNION JACK FLAG 18,USA FLAG 19,CHEQERD 20,SCOTTISH FLAG 21,WELSH FLAG 22,GEORGE FLAG. (Ten pence piece. not pin badges). The rear of the badges is secured by a D-pin. · We can always RESOLVE any issues, big or small. And has a standard brooch fitting. 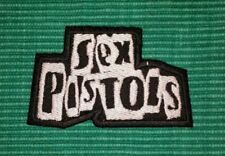 (unlike a plastic button badge). 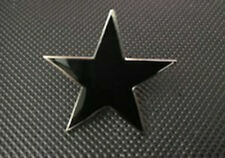 All of our badges are manufactured with a solid pin and clutch fitting to the back. directly and we will try and find a solution for you. AND CHECK THE QUALITY FOR YOURSELF ! Excellent disign of the Iconic Aladdin Sane. 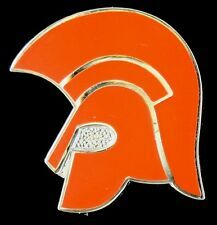 top quality pin badge ,for jacket lapel / canvas bag / belt / cap.etc. MOD SCOOTER PIN BADGE. TOP QUALITY PIN BADGE. BUTTERFLY CLASP. THIS IS FOR A TOP QUALITY PIN BADGE THE PHOTO IS NOT VERY GOOD AS THE PIN IS MUCH BETTER THAN THE PHOTO. THE BADGE STARTS AT A LOW START WHICH IS VERY CHEAP. 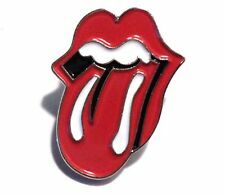 I HAVE A LARGE NUMBER OF THESE SCOOTER PINS IN ALL DIFFERENT COLORS SO KEEP LOOKING EACH WEEK AS I HAVE GOT NEW ONES EACH WEEK COMMING IN SOUL/ LAMBRETTA/ VESPA/. Professional Quality Badges. We will always help you to have a 100% positive happy buying experience. THIS IS FOR A SCOOTER PIN BADGE THE PHOTO IS NOT VERY GOOD AS THE PIN IS MUCH BETTER THAN THE PHOTO. 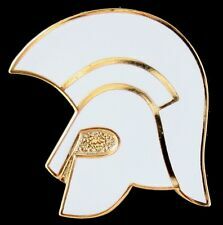 I HAVE A LARGE NUMBER OF THESE SCOOTER PINS IN ALL DIFFERENT COLORS SO KEEP LOOKING EACH WEEK AS I HAVE GOT NEW ONES EACH WEEK COMMING IN SOUL/ LAMBRETTA/ VESPA/. (2) Good Vibes tape cassette. the badges may appear different than the actual size. Complete with rubber back button. Perfect set & size.